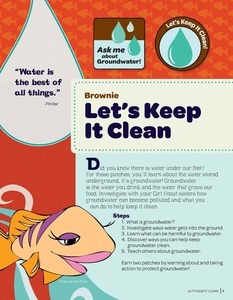 Brownies: Let's Keep it Clean! Did you know there is water under our feet? 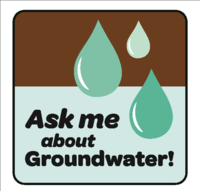 While working on these patches, you'll learn about the water stored underground, it's groundwater! 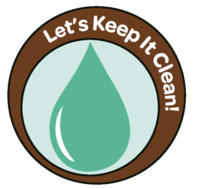 Earn this patch by completing two activities from the Brownie: Let's Keep it Clean! patch booklet. Click here to purchase. Earn this patch by doing more activities from the Brownie: Let's Keep it Clean! patch booklet. Click here to purchase. Purchase your Brownie patch booklet here!